When people bet on a horse race, they generally pick only one horse to win--after all, only one can finish in the top spot. (Even the trifecta bet only allows bettors to select one specific outcome.) At the 2006 Kentucky Derby, when superstar thoroughbred Barbaro left every other horse in his wake and won the first leg of the Triple Crown going away, many believed he'd do the same at the Preakness and then the Belmont Stakes. Pundits began comparing him to history's elite Triple Crown winners. Going into the Preakness, many bettors put all their chips on Barbaro. What no one planned for was Barbaro's false-start there and then for him to shatter three bones in his right hind leg--shattering the hopes (and wallets) of the bettors who considered him a sure thing. Outsourcing--and, even more controversially, offshoring--had typically been looked at like a horse bet: Many companies placed their entire contact center operation in the hands of one country--more often than not, that meant India, which offered a large labor pool of English-speaking agents. Companies saved a great deal of money, and were able to attend to what they considered the critical aspects of their businesses. "Most organizations are moving to outsourcing because they want to focus on core competence," notes Michael DeSalles, strategic analyst at research analyst firm Frost & Sullivan. Outsourcing became a staple for many companies' customer service strategy--and business was good. However, as more companies started to rest their contact center goals squarely on India's shoulders, backlash reared its head. Press reports began citing customer dissatisfaction with Indian contact center agents as well as stories of myriad health problems with Indian agents who worked long night hours to adjust for the time difference with United States callers. Despite this, the worldwide outsourcing market, including the offshoring facet, continues to grow at a steady pace--8.1 percent in 2008, according to a study from industry research firm Gartner. Even larger gains are predicted for the business process outsourcing (BPO) segment--in which contact center outsourcing primarily lies--from $160.7 billion in 2007 to $235.2 billion by 2011, a compound annual growth rate of 10.3 percent. How can the market remain robust despite the popular backlash? The answer requires more than just a bird's-eye view of the overall industry. Outsourcing is with us for the foreseeable future, but the manner in which companies are outsourcing is shifting dramatically. It's no longer a horse bet--pick the winner!--but rather reminiscent of a sound retirement strategy: Diversify, diversify, diversify. The realization that a healthy mix of outsourcing options is a safer bet is driving companies to consider operations in more than one country, and in more than one center. In fact, according to Frost & Sullivan statistics, the offshore segment is projected to represent only 25 percent to 35 percent of total North American outsourcing revenues by 2013. No one believes for one second that India's outsourcing industry will disappear--so where will companies be outsourcing the majority of their contact center operations by 2013? And how? There is no single strategy--but a healthy mix is a safe portfolio geared to dictate the future of the outsourcing industry. The era of the work-at-home agent (WAHA) force is squarely upon us, DeSalles says. In fact, he calls it the "single hottest topic" in his current research. And yet, he adds, only half a dozen companies offer WAHA-only service or include WAHAs as part of a brick-and-mortar solution. "People are really not focused on WAHAs," he says, though he sees the shift coming. Another reason WAHAs aren't yet getting top billing? Perhaps because they represent "primarily a U.S.-based trend," according to Andrew Kokes, vice president of marketing for outsourcing provider Sitel. DeSalles has authored a report identifying several benefits to leveraging home agents, including the ability to tap into a national labor pool instead of being restricted to a specific region around company headquarters, and the fact that there's a lower agent-attrition rate among home agents (10 percent) than there is in the brick-and-mortar world (50 percent). Other benefits include a higher education level among agents, including those with experience in the fields of sales and customer service. Tim Whipple, vice president of virtual contact centers for Santa Clara, Calif.--based contact center technology provider LiveOps, says agents recruited by his company undergo a full certification process before they ever talk to a customer. "We certify them and give quizzes and tests to ensure that they know what they're doing before they can go on the call," he explains. "Once they qualify, they still have to go through certifications at various levels of rigor depending on various levels of the program." The beauty of the home-agent model, according to Tammy Valdez, vice president of member services for LifeLock, an Arizona-based identity-theft solutions provider, is that you can adjust the number of agents depending on call volume--modifying personnel levels by the minute to suit workload requirements. LifeLock utilizes LiveOps' home-agent force, and Valdez says that's been the only way her company could process the recent "hypergrowth" it's seen. "The reason we've been utilizing their agents is because we do a lot of marketing on television and radio, and so when these ads hit, we may get a spike of 400 calls, or sometimes even 1,000 calls, all in a one-minute interval," she says. "So [the home agent force] gives us that scalability to handle the spikes without literally staffing to a level that would hurt us at other times in-house." The technology to transfer and log customer phone calls to the home has been in existence with conferencing features since the early 1990s, but being able to create a viable infrastructure to enable home agents did not come onto the scene until the beginning of this century, according to Working Solutions CEO Tim Houlne. "From a call center perspective, the ability to not only route that traffic into the home but to report on it and track it really started to evolve around 2000 and 2001," he recalls. 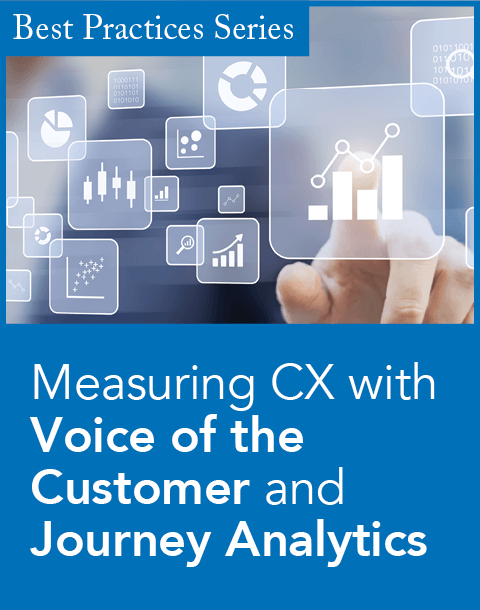 "Companies really understood either voice well or data well. Few understood bundling the two to deliver that seamless voice and data transaction to the agent in the home." Houlne credits a couple of advances for the birth of the virtual contact center: first, carrier-grade soft switches, which he says allowed for applications to be developed that were similar to ones integral to typical enterprise-scale contact centers; second, Internet Protocol--enabled systems that allowed access via the Internet to a CRM application. Whipple agrees: "To effectively manage a distributed contact center, you have to have an Internet-based technology people can just log [into] and access the information they need to allow them to handle a call." While Houlne says the capability to leverage home agents is now a given, there are still security concerns about the data being sent to homes nationwide. "In the beginning [technological capability] was one of those questions," he recalls. "First, how can you do it; then, how secure can that be? That's where a lot of the security questions were raised. Most of your questions concerning the capability to perform most call center functions are gone--the security remains." It's not from a lack of effort, according to Donna Fluss, president of DMG Consulting. "A lot of attention over the last two years in particular has been paid to addressing the security concern of these types of solutions," she explains. "The good news for this market is that the...vendors have been investing significantly and there are some very secure solutions out there." Those who like the idea of outsourcing to a brick-and-mortar facility, but not in far-flung locations such as India or the Philippines, can also look to nearshore locations ("near" to North America, that is), including Canada and Latin America. "There is increased acceptance and trust in utilizing outsourcers for nearshore outsourcing," DeSalles says. "The biggest driver is going to be cost. As a general rule, it is much cheaper to deploy a contact center workforce nearshore, or even offshore." In particular, Latin America has started to be seen as a viable option for nearshoring capabilities, especially "for companies looking to diversify [a] global footprint," Sitel's Kokes says, and particularly for those looking to tap into a rapidly emerging U.S. demographic--the Hispanic market. According to the University of Georgia business school, America's Hispanic population controlled $926.1 billion in total disposable income in 2007, and U.S. Census Bureau statistics reveal Hispanics to be the fastest-growing demographic. In other words, U.S.-based companies better be prepared to tailor their customer service strategies to cater to the Hispanic population. "What you're seeing, from the outsourcers' perspective, is that they are strategically locating contact centers in Mexico, Costa Rica, Panama, Dominican Republic, Nicaragua, Argentina, and Chile to support [the] U.S.-Hispanic market," DeSalles says. That market is a huge opportunity for Mexico and the rest of Latin America, as they have what Amit Shankardass, Sitel's senior vice president of global marketing, believes North American companies need: multilingual contact center agents. "As the number of U.S. Spanish-speaking consumers increases, so, too, will the demand for contact center support for this demographic," he explains. "Mexico has the unique advantage of providing 'context-specific' support," he adds, noting that other Latin American nations, such as Panama and Colombia, are also clamoring for a piece of this market. A large stumbling block is the preconception that these countries are still war zones, unsafe destinations for million-dollar contact center investments. "For some people, the mention of Colombia or Nicaragua calls to mind images of violence and instability," Shankardass explains in his report, "Latin America: The Next India?" "But, contrary to this view, these nations have become safe and business-friendly with governments that are keen to secure attractive foreign investments." (See "Why Nicaragua?" and "A Nearshore Niche in Nicaragua," July 2006.) Kokes notes a positive example: Many Nicaraguans who fled to Canada or the U.S. in the 1980s have since returned with high levels of education allowing them to perform well as customer service agents. Technological advances, in particular the rise of Voice over Internet Protocol (VoIP) and multichannel capability, have also led to the re-emphasis on nearshoring, according to Kokes. "VoIP has been one of biggest changes I've seen in [10 years] in terms of your ability to quickly scale to really get on-demand," he explains. He also says multichannel capability--allowing for the use of interactive voice response, chat, email, and live agents--has made outsourcing possible beyond brick-and-mortar contact center locations. Latin American countries have done their part to be a home to this technological innovation by establishing "reliable and economical communications networks required to deliver high-quality voice and data traffic available across several countries in the region," Shankardass explains. The global press was quick to ordain India as the hottest country in outsourcing, and then was just as quick to note the country's hiccups--from customer dissatisfaction to the rash of medical issues for Indian contact center agents. A recent study by the CFI Group, "Satisfaction with Contact Centers Drives Customer Loyalty," took a close look at Americans' perceptions of and experiences with contact centers both at home and abroad. 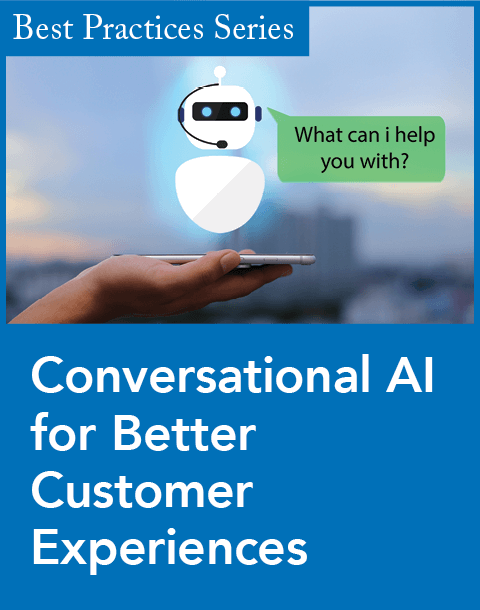 The report concluded that customers who believed they had reached a contact center overseas rated their overall satisfaction with the service experience 26 points lower than those who assumed the contact center was U.S.-based. Sheri Teodoru, the author of the CFI Group study, says while location was not the only driver of negative perceptions of offshore services, it was definitely a viable factor. 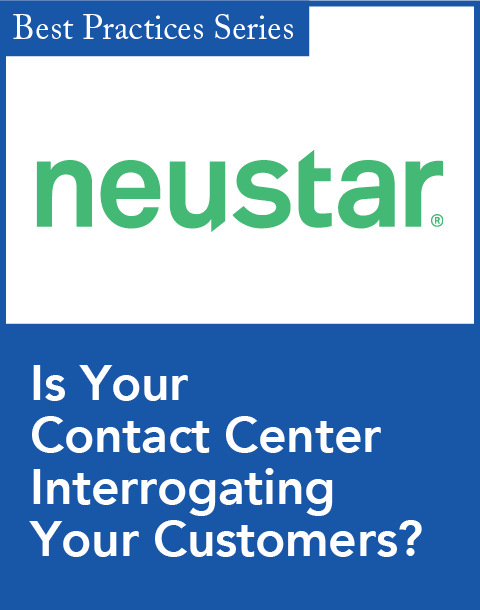 "The single biggest issue--and biggest source of dissatisfaction--is that the first-call resolution was statistically and dramatically worsened in outsourced [contact centers]," she explains. "Clearly there is a language barrier which may hinder the representatives' ability to solve the call, but it's the fact that [customers'] issues aren't getting fixed that's the problem." DeSalles agrees that India, and offshoring overall, is facing some issues. "There is a migration away from large outsourcing deployments like India to more strategic ones home-based in [the] U.S.," he says. "Consumers are very dissatisfied." Despite the backlash against offshoring, many are quick to point out that India still maintains a large presence in the industry. "India will continue to be one of the big near-term winners of English-language support and supply," Kokes predicts. Avaya, for example, is satisfied with the outsourcing services it has been using in India since the early 1990s, according to George Humphrey, the director of service line management for its global managed services organization--and the company has no intention of leaving India to find offshoring services elsewhere. While Indian outsourcers may still be major players, they also seem to be adapting, expanding their U.S.-based operations at roughly an annual rate of 40 percent and their European ones by 60 percent, according to Gartner--possibly to fight high agent-attrition rates and a perception that the India base of the industry may be hitting the skids. "Indian outsourcers are starting to move to bring facilities to America, which is a very interesting trend," DeSalles explains. "What Indian outsourcing providers are essentially saying is, 'If we're not successful in our country, we'll bring our outsourcing to you and use U.S. agents.'" A company hedging all its high-quality customer service bets on one outsourcing model may open itself up to serious risk. (See sidebar, "Diversify, Remember?" at left.) With new technologies allowing for a diversified global footprint, those not taking advantage may be left behind: There may not be universal agreement on the best outsourcing strategy, but everyone believes a company cannot be truly great unless it can deliver the best in customer service. "Exceptional customer service is a key differentiator," DeSalles says. "It is separating good companies from great companies." And that, in any gambler's book, is what's known as a sure thing. While there are many new options available to companies looking to outsource their contact center operations, many observers suggest that no one option can stand alone and deliver the customer satisfaction consumers expect--and that may be the biggest option of all: Today's technologies let companies "be flexible and give businesses and companies outsourcing choices to diversify their global footprint," says Andrew Kokes, vice president of marketing for outsourcing provider Sitel. There are several reasons to make sure contact center operations have a mix of in-house, nearshore, offshore, and even homeshore facets--a set-up commonly referred to as a hub-and-spoke model. Michael DeSalles, strategic analyst at Frost & Sullivan, says having a blended model is important in terms of geopolitics. "It mitigates [the danger of] having too many agents in a single geographic area, which is extremely risky in case of a natural disaster or pandemic," he explains. "So [companies] may decide to keep their own in-house contact centers and expand with nearshore facilities [in places] like Canada and Latin America." DeSalles also says having a blended model allows companies to benchmark performance within and between different contact centers. Even proponents of home agents say it's still too early to look at simply having a virtual call center to run all contact center operations. "I think it's premature to tell the world, 'Blow up your call centers and send everyone home,'" says Azita Martin, vice president of marketing for Santa Clara, Calif.--based contact center technology provider LiveOps. "But companies owe it to themselves to start looking at the home-based model--whether it's outsourced...[or] they're sending their own agents home." West at Home says its new Locked-Down Desktop Security Environment will help a company manage its at-home reps through each agent's own computer. The vendor's latest on-demand contact center platform underscores the importance of monitoring calls in real time. The newest offering from the provider of enterprise compliance and quality management solutions takes the human factor out of unifying data. The latest study from the CFI Group finds customer satisfaction remains an important competitive differentiator. New research indicates that a 3.6 percent drop in 2007 may be followed by further declines this year -- and well into 2009. Datamonitor examines the five key trends shaping the outsourcing market this year. One industry analyst believes the move is the biggest business process outsourcing market shakeup in the last six to 12 months. Delivering quality customer service means making quality shots.